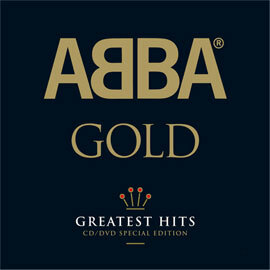 This month marks the fifteenth anniversary of the original release of ABBA GOLD – Greatest Hits. At the time the CD was released, it had been almost ten years since ABBA had come to an end. General interest in the band had declined, though a dedicated worldwide fan base continued to love ABBA and enjoy their music. 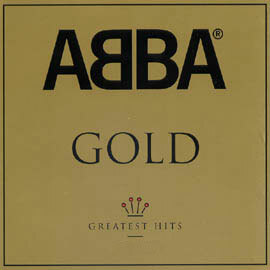 It’s astounding that this simple compilation CD, which at the time seemed to be just another in a long line of quickly thrown together ABBA CDs that had flooded the market over the previous ten years, would kickstart a global revival and reevaluation of the band, and would become not only ABBA’s biggest selling album, but one of the biggest selling albums of all time. The revival had actually been building up over the previous five years, with ABBA music playing in trendy clubs, theme nights, and a growing fan club. But the release of the compilation, along with Erasure’s cover EP Abba-esque and the international break-through of tribute band Björn Again, saw the revival explode to the general population. The premise is simple – 19 ABBA hits on one single CD. I’ve never been a particular fan of the compilation. The running order seems fairly random and arbitrary. 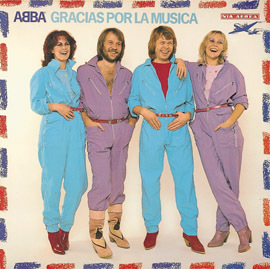 There are at least two songs that don’t really belong as they don’t fit into the context of “ABBA’s greatest hits” – ‘Lay All Your Love On Me’ (a limited release 12 inch single) and ‘Thank You For The Music’ (a single A side in just a few countries, mostly to promote compilation albums in 1983). International chart-topping hits ‘Ring Ring’, ‘I Do, I Do, I Do, I Do, I Do’ or ‘Summer Night City’ seem better qualified for inclusion. Still, ABBA GOLD has been a phenomenal success, having sold something like 26 million copies and introducing a whole new generation of ABBA fans.